If you’re in the market for an advertisement in either a local newspaper (web or print), magazine, or simply want to make your own flyer for distribution in your locality – there are a lot of things to consider. You have to think about the print size, the colors, the heading, and what message you are trying to send. You have to think about your audience. Last but not least, you have to think about what goal you are trying to achieve by running this ad. Let’s run through each of these issues, and get into more detail! If you are working with a designer, you should be able to get the measurements of the final print ad from them. There are a LOT of different sizes and layouts available from newspapers and magazines, and the print industry altogether. Think about how to ‘break up’ the ad, and have an area to deliver your message, and if you want an image on the ad – make sure to leave some space for your visuals. The bigger the ad, the more ‘eyes’ will land on it – but you know that the more space the ad fills in the newspaper/magazine, it’s bound to come attached to a hefty price tag. There are a lot of opinions on this – whether or not bright and vibrant colors will help your ad to ‘stand out’ from the others – but the truth is hidden in that statement. If all the ads are bright colors – you are just mixing into the fruit salad of hues. Think about the placement, the message you are trying to send – and maybe go with a solid block of color – with a highly contrasted message. Don’t use all the colors in a single ad. That’s just silly. This could be a whole post on it’s own, but i’ll do my best to shorten it down into a bit-sized nibble. When you design any aspect of your business that has to do with drawing in additional customers – you have to, absolutely MUST, think about your customer. What are they looking for? What do they want to achieve? How is your 2 seconds of eyeball-time on your advertisement going to help them in the short term, and maybe the long term? Who are your customers, and are they reading the newspaper/magazine with which you are planning on spending your ad revenue? If your company sells something trendy and young, a newspaper might not be the best bet. Aim for local magazines or websites, or possibly a well-targeted Google Adwords campaign. If your audience is loyal to the locality, and is reaching retirement – that newspaper ad should have a much higher return on investment. After you’ve settled on the method of delivery, think about what message you want to deliver to your perfect audience. When you write your message, keep it to 8 words or less – and think about the needs of your perfect audience, and how you are going to fulfill them. What ‘hurt’ are you trying to expose in them, that they have the utmost desire to call/click/engage with your company? Think about the message that you are creating for them, and how can you use that to your advantage – in 8 words or less? Try to avoid the word “Best” when you explain yourself, along with any sort of wasted ‘fluff’ words that could apply to any business (including your competitors). Don’t waste their time (and your money) with an advertisement that isn’t focused like a laser! Don’t forget to put your contact information in the advertisement! I’ve seen this happen before, and it’s a letdown to say the least. Put your website, put your phone number and email address. If you have a physical storefront or office that you want customers to visit, put your address as well. If you have to remove information to keep everything clean on the advertisement, think about your perfect audience again – and remove what you don’t need. If you don’t expect your audience to email your deli – remove the email, but keep the website and your street address! Be smart about the information added, as there is only so much space on those small ads – and you don’t want to clutter it up. If possible, think about tracking for your advertisement. Get a second phone number, and put that number in the advertisement. That will allow you to see how successful the ad is, compared to other methods. If you have an online (web) ad, you can give it a special “tracking link” – which will let your website know where the visitor came from. When you invest money in advertising, it’s a necessity to track where your money is going – so you don’t end up continuing to dump money into a pit that isn’t showing any sort of return. All of these concerns have to be addressed to create a good advertisement for your small business. 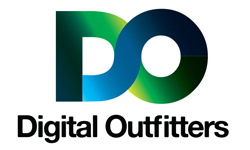 If you have any questions about this information, or would like to know more about what Digital Outfitters can do for you, feel free to contact us with your questions/feedback!